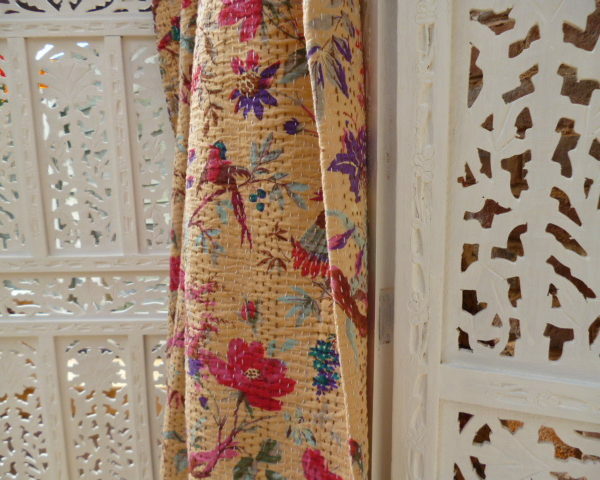 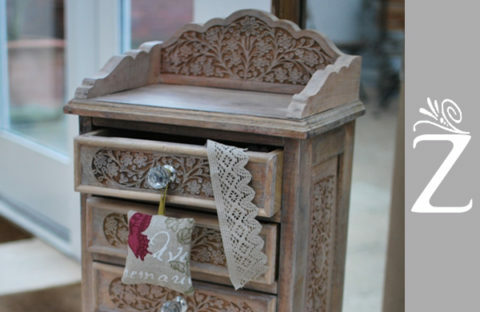 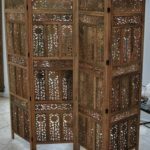 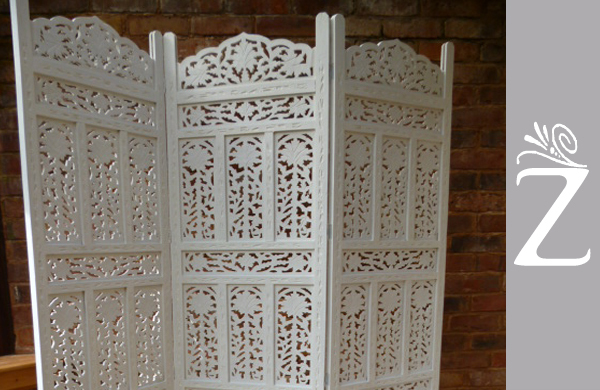 Zeru:Hand carved mango wood screen. 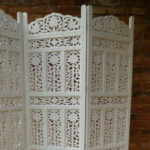 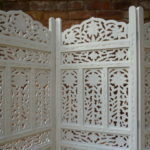 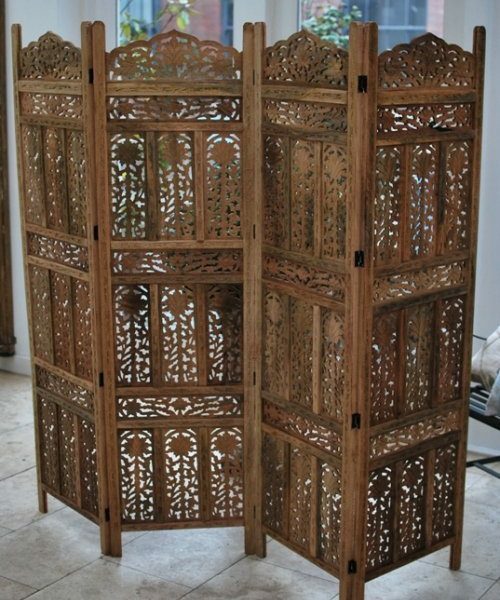 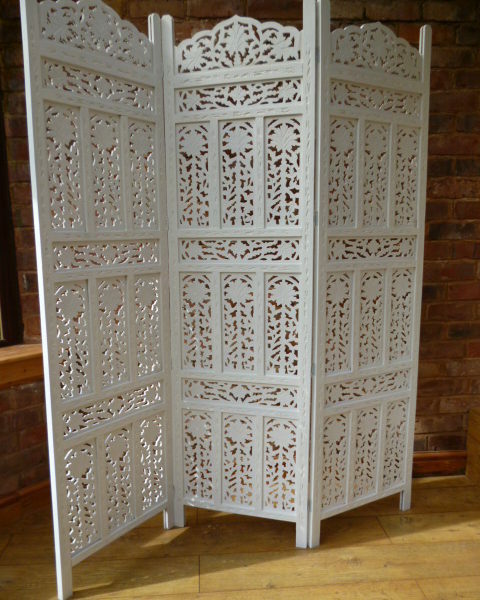 A highly carved three-panel mango wood screen. 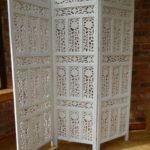 Great as a feature, to define a space, or even to hide that clutter!. 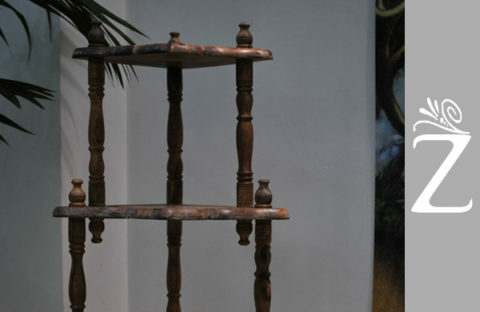 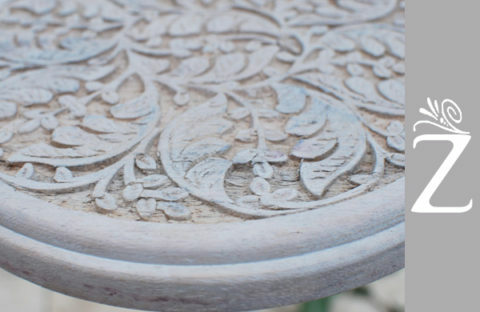 Colour/Finish- available in natural oiled wood, white or pigeon grey. 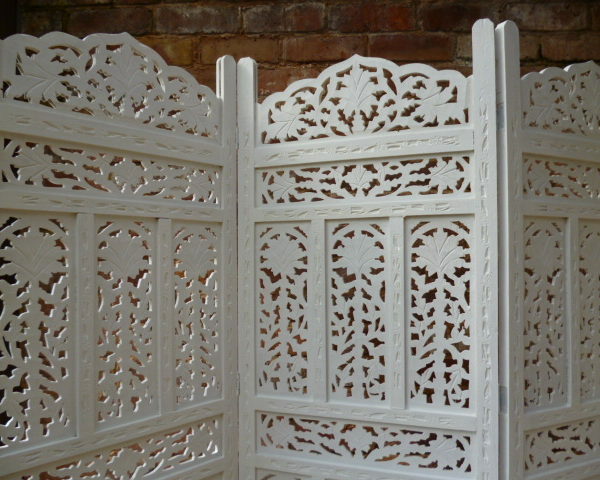 We can also paint to your colour specification – just contact us to discuss. 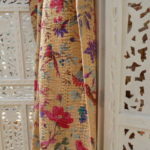 The price includes VAT and postage & packing.